Marine veterans are eligible for many different types of VA benefits, including disability compensation, health care, pensions, and burial. Disability benefits are paid to Marines who were injured or became ill during active military service. The VA’s health care system provides veterans with free or low-cost medical care. Basic pensions are available to low income veterans and their surviving spouses. A Marine veteran, spouse or surviving spouse who needs long-term care may also qualify for an enhanced pension called Aid & Attendance. The VA will also help pay for a veteran’s burial and funeral expenses. The history of the United States Marines dates back to 1775, when two marine battalions were created by the Continental Congress to provide landing forces for the Navy. The “Continental Marines” were disbanded in 1783 and re-established in 1798. In 1805, the Marines were sent to Tripoli to fight against pirates raiding American merchant ships. The Marine nickname “leathernecks” originated during this period in reference to the high collars worn for protection against saber cuts. 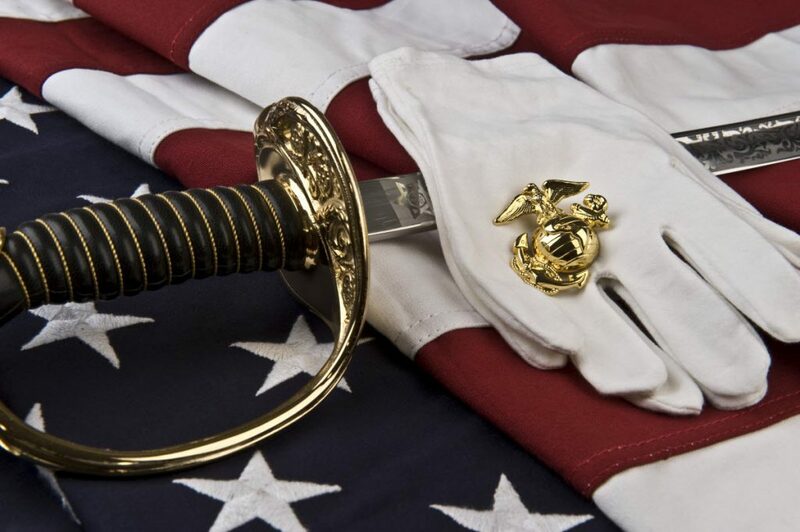 The Marines also fought in the Mexican-American War, World War I, World War II, Korean Conflict, Vietnam War, Operation Desert Storm, Operation Enduring Freedom and Iraq War. The U.S. Marine Corps is a strictly volunteer military branch. Its members are usually the first to be sent into conflict. The motto of the Marine Corps is Semper Fidelis, a Latin phrase that means “always faithful”. Approximately 475,000 Marines served during World War II from 1939 to 1945. There were nearly 25,000 Marine casualties and more than 67,000 Marines were wounded (National WWII Museum). The Marines were heavily involved in the Pacific Theater, including Guadalcanal Campaign, Battle of Okinawa, Battle of Iwo Jima, Battle of Saipan, Battle of Guam and Battle of Wake Island. They also served in Europe and North Africa. Marine Corps veterans who served during World War II can receive various types of VA benefits, such as disability compensation, health care, pensions and burials. To receive a pension, the veteran must have served 90 days of active duty with at least one day during the period of December 7, 1941 to December 31, 1946 (or July 26, 1947 for veterans in service as of December 31, 1946). Other pension requirements include having received an other-than-dishonorable discharge. The Korean Conflict lasted three years, from 1950 to 1953. U.S. Marines were deployed and fought throughout the war, beginning with the defense of the Pusan Perimeter. Key Marine military engagements include the Battle of Chosin Reservoir, the Battle of Inchon and the Nevada Cities Campaign. Approximately 424,000 Marines were on active duty during the Korean conflict. Total Marine casualties were slightly over 4,500. More than 23,700 Marines were wounded (Congressional Research Service). The Vietnam War was a conflict between North and South Vietnam, with the U.S. supporting the South Vietnamese Army. The U.S. Marine Corps was deeply involved in the Vietnam War as guerilla fighters and counter-insurgency specialists. The Marines pulled out of Vietnam in 1971, but returned in 1975 for the Saigon evacuation. An estimated 794,000 Marines served during the Vietnam Conflict. Nearly 15,000 Marines were killed during war, and almost 1800 were wounded. Vietnam War Marines may be eligible for VA pensions if they served at least 90 days of active duty, with at least one day during the Vietnam War period of February 28, 1961 through August 4, 1964 (in Vietnam or on a ship off the coast of Vietnam; or from August 5, 1964 to May 7, 1975 in Vietnam or anywhere in the world. Marines who served during the Vietnam war can also qualify for other types of VA benefits like disability compensation, health care and burial. Marines who served during WWII, especially in the Pacific Theater, were exposed to many different health hazards due to the region’s heat, excessive rain, insects and vermin. Common health issues include dysentery, cholera, Dengue fever, typhus, boils, jungle rot and malaria. During the Chosin Reservoir Campaign, many Korean War Marines suffered frostbite and cold injuries. Other health risks have included exposure to high levels of noise and vibration, as well as asbestos, industrial solvents, lead, pcbs, carc paint, fuel and radiation. A significant number of military veterans who served between the 1930s and mid-1970s increased their risk of developing certain types of cancers and respiratory conditions due to asbestos exposure. Asbestos is a highly toxic substance that was in various products, equipment, vehicles, planes and ships. Marine Corps personnel most likely to come in contact with asbestos were mechanics and Marines deployed on Navy ships. U.S. Marines who served during wartime and require the assistance of another person to perform daily living activities may be eligible for a special VA pension called Aid and Attendance.